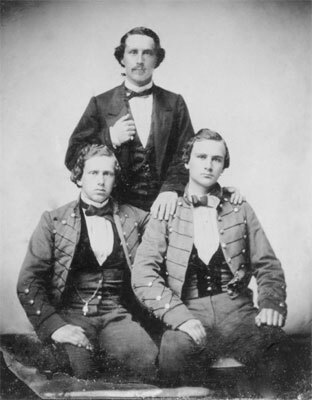 Pictured here are three of the five Moses brothers from Sumter who joined the Confederate ranks. Joshua Moses was killed at Fort Blakely near Mobile, Alabama, on April 9, 1865, the day Lee surrendered to Grant at Appomatox. 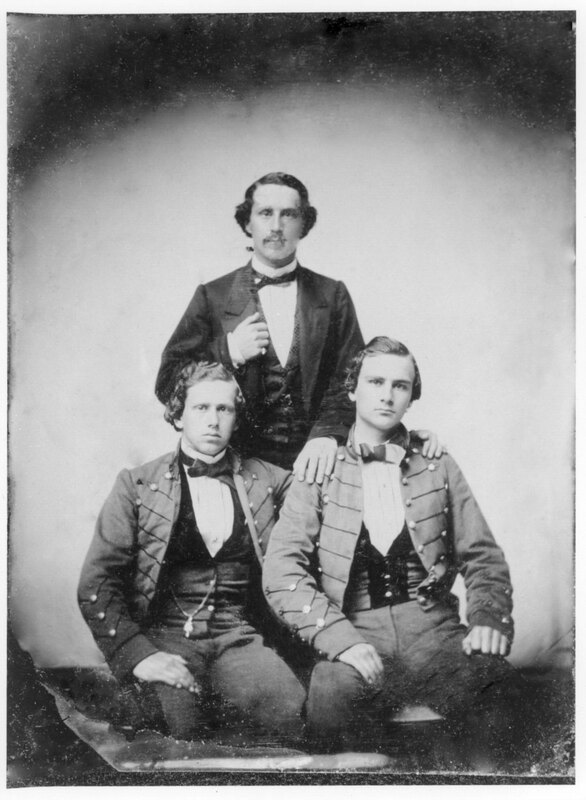 Isaac Harby Moses saw action late in the war. A private in the Citadel Cadet Rangers, he was known as “Lord Shaftesbury” because of his bookish writing style. Perry Moses would become active in the Confederate Veterans in Sumter, South Carolina. He died in 1916.